Why not come and decide for yourselves? 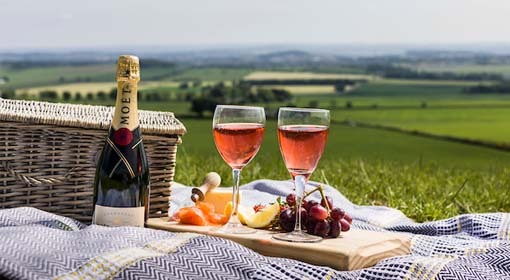 Only a 20-minute drive, door to door, from The Hideaway Experience, your Hideaway is the perfect base to enjoy the beautiful Angus countryside, the vibrant CIty of Dundee and the V&A Museum. The first visiting exhibit is Ocean Liners: Speed and Style, which will be on display until 24 February 2019. 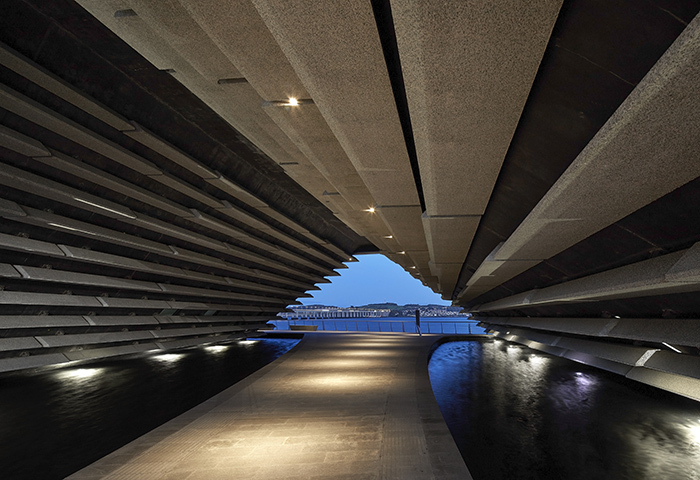 At the heart of the museum is the Scottish Design Galleries featuring over 300 exhibits. They celebrate Scotland’s outstanding deign achievements ranging from architecture to fashion, healthcare to furniture, and engineering to video game design. Whether its coffee and cake, a quick snack, lunch or an evening meal, the V&A offers up something for everyone. Why not try out their Living Room Cafe or Tatha Bar & Kitchen? 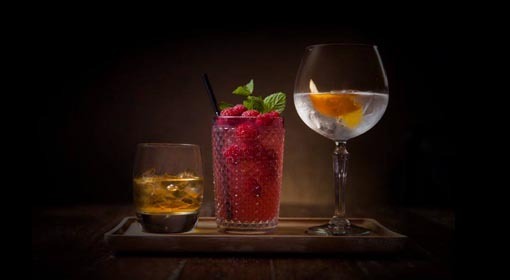 Like The Hideaway Experience the V&A prefer to champion seasonal, locally-sourced food and drinks working with local suppliers to deliver delicious menus. 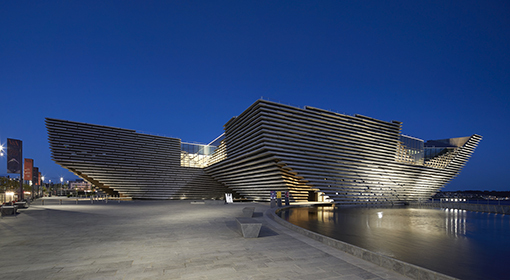 There’s a lot more to Dundee than just the V&A. It’s a creative city with a rich heritage in maritime exploration, medicine, gaming, jute, jam and journalism. The 99 Thinks to See and Do in Dundee Guide will give you plenty of inspiration of all the best places to visit. Innovative and sophisticated design is also at the centre of The Hideaway Experience. The footprint and luxurious interiors of the Hideaways are 100% bespoke and carefully created with couples in mind. Caroline and Ross, owners of the business, mapped out the design for the Hideaways after years spent researching luxury couples retreats around the world. Working with Dundee-based award-winning architects, Andrew Black Design, a unique space for “one couple only” was created.